How many Safety Consultants have you met with real “Hands-On/Boots on the Floor” plant experience in implementing a safety program? This kind of Grass Roots experience is essential to meeting your desired safety goals. It can only come from trained professionals who understand the process requirements you have in the plant and know, FROM EXPERIENCE, how to get buy-in at the floor level to meet your safety AND production goals. Through understanding Process Analysis, and a commitment to continuous improvement, because when you create a measurable improvement in safety, you WILL increase productivity output. We can demonstrate these gains from the hands-on experience we have gathered from years of working directly (on-the-floor) with your employees on safety and process improvements and concerns. What do you do if your current safety program doesn’t address your actual safety concerns on the floor? How do we implement a Safety Strategy without interrupting your process? How can a safer workplace improve your output? How do we work in partnership with the manufacturing engineers, so that we can understand and mitigate the exposures in your manufacturing processes that cause injuries? Your employees actually know where the problems occur and can provide the input you need to solve them. Our job is to work with them, gain their trust and input, to make them part of the solution. Sort — Distinguish between what is needed and not needed and remove the latter. Stabilize — Enforce a place for everything and everything in its place. Shine — Clean up the workplace and look for ways to keep it clean. Standardize — Maintain and monitor adherence to the first three Ss. 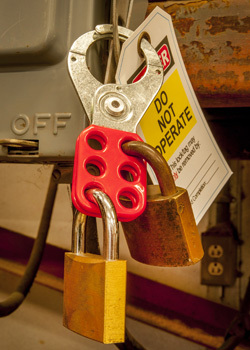 Call us and put SAFETY to work on the floor of your manufacturing plant today!